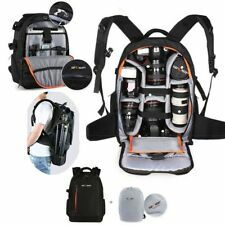 K&F Concept Super Large Camera Backpack Bag Rucksack DSLR Case for Nikon Canon. Condition is Used. Dispatched with Royal Mail 2nd Class. Decent backpack. Used for my holiday in Iceland and then never used again. Basically new with some small suff marks from travelling. 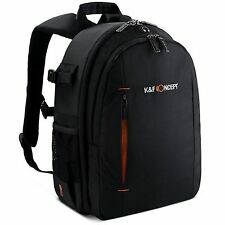 Was £45 new Decent camera backpack. 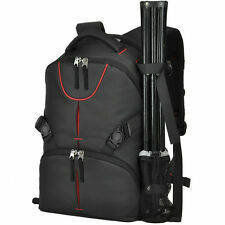 Large Tamrac 697 Rolling Backpack for camera equipment. 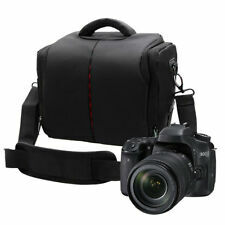 This is a very solid and robust bag that will take virtually anything you will need for a photography trip. Divider: 1.0 PE board EPE foam. Zippered pocket on the upper protctor can hold data cable or cleaning cloth. Condition is Used. Well used but in good condition. Chest fasten strap with whistle and sturdy waist belt. Made of high-density and durable nylon- waterproof, highly tear resistant. Free waterproof rain cover. Velcro pads can be removed and the bag can be used as a general bag. Material: Nylon. Lining Material: Polyester. Strap Number: Double. Thick & High intense Waterproof Nylon & Comfortable Rubber Hand Strap. Note: The real color of the item may be slightly different from the pictures shown on website caused by many factors such as brightness of your monitor and light brightness. Used in excellent condition. Front pocket for storing keys, pens, cables, etc. Stronger Protective: Thickened outer walls and removable inner dividers can stabilize your gear and protect it from shock and strike. Right side of the bag can put the kettle or umbrella. Universal, fits lens no longer than 15CM. • Materials:Durable and weather resistant exterior constructed with Nylon, special technology back up load again. Lowepro Slingshot 300 AW. Super condition. A Perfect Combination For Photo Gear, It Was Designed Specifically For Digital Photographers. We are professional manufacturer to produce TV Wall Mount,Dog Harness,Dog Bed,Make Up Trolley,Mirrors,Garden Stand,Solar Led,Car Holder products and 3C Accessories. 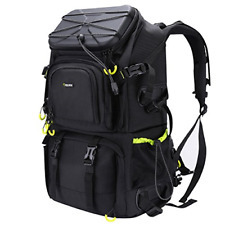 Made from durable nylon material, outfitted with reinforced padded carry handle. - Removable shoulder strap adjusts to accommodate a variety of heights and carrying preferences. Material: Nylon. 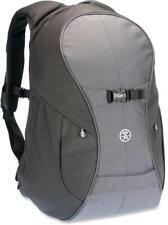 This is in addition to the many accessory pockets and the lockable section for a small laptop. Built to last due to the high specification design and materials used. Our aim has always been to provide the highest quality cases at an affordable price.